Enter a submission to be considered for the WRX club display. We are limited to 15 spots so our organizers will select the winning entries. *Refunds will be given to unsuccessful entrants, however once accepted cancellations will not be refunded. 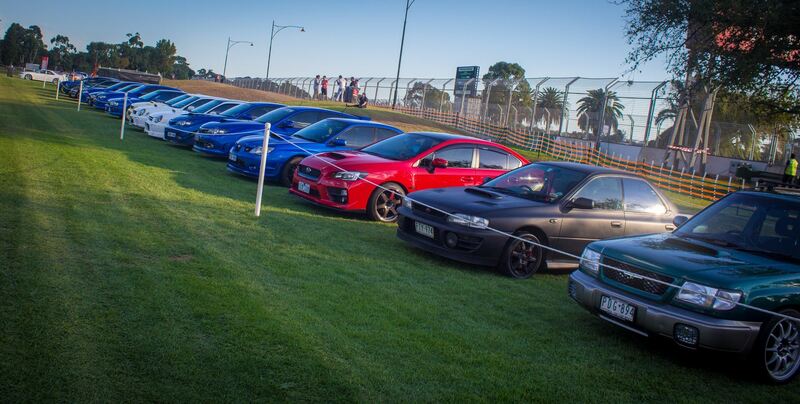 The Impreza WRX Club has been selected to participate in the 2018 Formula 1® Australian Grand Prix as part of the Automotive Avenue Car Club Display. This year there will be a $75.00 cost (inc.GST) per vehicle to display at the 2018 Formula 1® Australian Grand Prix which includes two 4 day passes to the event valued at $330.00. In addition to this, your entry will go into a draw with a chance to win Pit Lane Walk passes on a day arranged by the AGPC. Only 15 Places have been allocated so get in quick. All entries will be evaluated and successful applicants will be notified via email. We are aiming to display a variety of quality vehicles to help represent and promote the club. 1. Fill out the formula one's form (click here) and email it with 2-3 photos of your car along with your name and member number to F1@wrx.com.au. Please do not hit submit on the pdf, just save it and send to us, we will submit if you have been selected. *Completing an Entry form does not guarantee a position in this event. * Financial Members only will be considered to represent the club at this event. * All vehicles must remain inside event display between the designated bump in on Wednesday the 21st of March and bump out time on Sunday the 25th of March. * All vehicles must have comprehensive insurance. * Entrants are required to keep vehicles in a clean and presentable state throughout the event. Vehicles tend to get dusty during the event due to foot traffic adjacent to the display. Entrants who do not keep their vehicle clean during this event will be excluded from future displays. We recommend owners wipe down their cars at the beginning of each day to ensure our display stays clean. For the second time, there will be awards presented at the event, chosen by a public vote. We will be allowed to enter up to 15 cars to showcase and once vetted by the Australian Grand Prix Corporation (AGPC) will be posted on Grandprix.com.au for public voting.